Are you in need of a professional makeover? Shobhana Beauty Studio is an established haircuts salon for women that offers high quality services and the best beauty care products that are manufactured in the United States. The products are available on our online portal that offers everything under one roof ranging from skin care products to other beauty essentials. This positions it as the ideal one stop beauty solution provider for women, men, kids and old-aged persons in Dublin, Pleasanton and Blackhawk. Additionally, Shobhana Beauty Studio has positioned itself as a professional, versatile and trendy haircut salon in San Ramon. Haircuts are a great yet simple way of revamping your look prior to attending an event, party or festival. An appropriate hair cut makes your look stylish and makes the face seem thin in case you have a chubby face. Shobhana Beauty Studio lists an interesting range of trendy haircuts that are offered by a qualified team of beauty professionals. The beauty experts study your face, appearance and establish your beauty requirements before suggesting the ideal haircut at a pocket friendly cost. Change your style, how your feel and look by getting a haircut from shobhana Beauty Studio in San Ramon. At Shobhana Beauty Studio you can find a range of trendy haircuts. 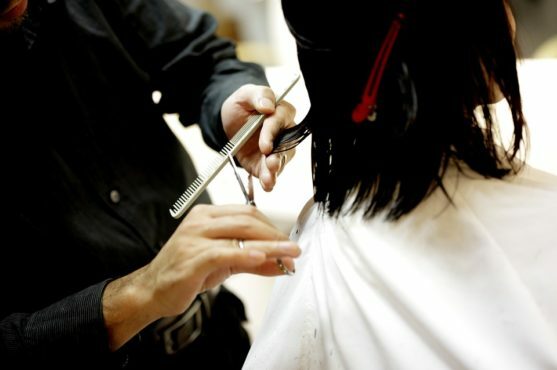 We have a team of professionals and experts giving you the hair cut you want. Whatever your face cut is our experts will suggest you with an appropriate hair cut and that too without burning a hole in your pocket. Thus, sway your way by taking a good hair cut from Shobhana Beauty Studio. To uphold professionalism and status as the best women haircut salon, our expert hair stylists are always up-to-date with the ever changing beauty and hairstyle trends. You find a wide range of hairstyles, hair color, beauty and hair care products at our haircut salon in San Ramon. Therefore, we guarantee quality asymmetrical haircuts, celebrity hairstyles, and romantic hairstyle ideas irrespective of your face type. Our hairstylists will assist you choose the best hair styling options. As the best haircuts salon for women, we strive to serve every client equally whether a woman, man or kid. We offer quality haircuts for everyone. We are highly experienced in providing quality haircuts that suit different face types. This makes us the best salon in Dublin, Pleasanton and Blackhawk for great haircuts that suit your personality.Adhere to the advice offered by our hair care experts to boost your overall confidence, change your perception and your statement to become an envy among your peers. A professionally done hairstyle can significantly enhance your appearance. So, do not hesitate to visit our women haircut salon in San Ramon.